Meeting held at the Partnership for Families, Children, and Adults located at 1800 McCallie Avenue from 10 am-12:30 pm. Presented by Linda Wise McNay, Ph. D. , Alexander Haas & Associates in Atlanta, GA.
During the February meeting Linda will be discussing major gifts, providing her insight from past experiences and sharing strategic strategies of major gift cultivation. This interactive lecture will have members walking away with their own calculated plan to secure a major gift for their organization. Linda is a Partner at Atlanta-based fundraising consulting firm, Alexander Haas. Linda’s professional background includes work with both higher and secondary education, the arts and human service organizations and has included work in capital campaigns, annual fund, planned giving, membership, strategic planning and organization development. This meeting will be held at the Out of the Blue Cafe located at 3230 Brainerd Road. The meeting will be at 10 am, with buffet lunch at noon. How does your organization stack up against others in implementing best practices in your fundraising program? This presentation will cover some of the best practices we have found on the local, regional and national level with regard to annual, capital, and planned gifts. Best practices for boards, volunteers and staff are also covered. You will have the opportunity to hear many ideas and then be able to implement those which are applicable to your organization. Mark, Senior Vice President at Sinclair, Townes & Company, has expertise in major gift, planned gift, and strategic visioning for organizations. Mark has more than 25 years of fundraising experience previously as Vice President, Development for Children's Healthcare of Atlanta (the former Scottish Rite and Egleston Healthcare systems). As such, his responsibilities included planned giving, major gifts and strategic leadership for marketing philanthropy to various community constituencies. His other healthcare experience includes serving as the Chief Development Officer at Piedmont Hospital in Atlanta. He has also served as Chief Development Officer for the International Life Sciences Institute and as Executive Vice President of Phi Gamma Delta Educational Foundation. Mark received his B.S. from the University of Vermont. Eric will share tips on how to create online content that draws in searchers, motivates social sharing, and converts visitors to donors and email recipients. He’ll also cover how to plan an email program that seamlessly moves the recipient from email recipient to donor and what you need to know about new networks and tools like Google+ and Pinterest. You’ll come away knowing which of your most valuable content should be on your website, in your social media, and shared through your email, how to craft the most effective email program you can, and whether you should be jumping on all of these new networks and how or if you could be using them to your advantage. Eric Pratum is the Director of Digital Strategy at Grizzard Communications Group in Atlanta, GA. He specializes in analytics and planning and has a background in social media analytics, search engine optimization, and e-commerce. Eric has been with Grizzard for two years and in that time has spoken at the DMA, the AFP national conference, AFP of Middle Georgia, and the Convio Summit and will be speaking this year at AFP TechKnow, Knoxville's Social Slam, and BlogWorld and New Media Expo New York. "Strategic Stewardship for Planned Giving Programs"
Target Analytics' Katherine Swank will discuss actions and interactions with planned gift donors and prospects that lead to mutually beneficial legacy (or deferred) gifts for both the donor and the organization. She will impart understanding of the impact strategic stewardship plans can have on planned gift donors and prospects. Katherine will also explore how a planned gift stewardship program can be folded into an existing stewardship program easily and inexpensively. Finally, she will leave attendees with a list of additional resources regarding planned giving stewardship. Katherine joined the Target Analytics team in 2007 with more than 25 years of legal and nonprofit management experience. Prior to joining Target Analytics, she was the national director of gift planning at the National Multiple Sclerosis Society, where she provided fundraising consulting services to the Society’s chapter leadership and development staff for six years. Katherine has raised over $215 million during her career, with a focus on planned and major giving. She earned a BA in counseling and education from the University of Northern Colorado and a Doctor of Jurisprudence from Drake University Law School in Des Moines, Iowa.She is a member of the Arizona State Bar and a past president of the Colorado Planned Giving Roundtable. The meeting will be at 10 am, with buffet lunch at noon. Too busy to conquer that pile of unread fundraising literature? Let Pat do your “reading homework” for you! In this session, Pat will boil down the professional content she has combed through over the years into a series of best practices that attendees can put to work for them. She will also call on others in attendance to offer their own best suggestions in several areas such as stewardship, women’s giving, etc. Pat Branam, CFRE, has been the Associate Vice Chancellor for Development at UTC for the past 4-1/2 years. Her focus at UTC has been managing a comprehensive campaign that raised $77 million, exceeding their fundraising goal by 20%. Pat joined UTC following 18 years in alumni and fundraising positions at the University of Cincinnati and as an elected member of the Deer Park Board of Education which led her to yet another fundraising challenge – mounting and passing real estate tax levies in order to provide funding for public schools. The meeting will be at 10 am with buffet lunch beginning at noon. "The Mindset of Major Gift Work"
About the presentation: Development work is an honorable and noble profession and our success depends upon BOTH our methods and our mindset - the M&Ms of major gift success! Methods and metrics are simply tools to support the professional who can control and enhance their mindset and virtually attract success with prospective givers. Join professional speaker and development coach, Marcy Heim, creator of the Donor Attraction System, as she helps us strengthen our C.O.R.E. in development, where C.O.R.E. represents techniques that will increase our overall happiness and rekindle our passion for the amazing and challenging work we do. About the speaker: Marcy Heim, CFRE, is a sought-after coach and trainer for fundraising leadership, staff and key volunteers who are transforming the world by encouraging philanthropy for their missions. She is a trusted authority in the development profession and helps organizations and educational institutions uplevel their major gift programs through artful, long-term relationship building dramatically increasing fundraising success AND promoting staff job satisfaction. Her teaching reflects over twenty years of firsthand, in-the-trenches, major gift fundraising and management experience where she and her team raised millions of dollars by creating the genuine relationships she promotes in her presentations. 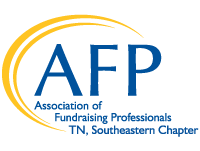 A big-picture look at professional fundraising, including the important role philanthropy plays in organizations and key motivations behind why people give. Also included: the primary sources of contributions; what an integrated development program looks like and which essential components aid success; the fundraising profession as a career, focusing on key qualities for success and a basic path for personal and professional development in the field; an introduction to professional standards and ethics. • Explain the culture of philanthropy and the role philanthropy plays in organizations. • Name 8-10 key reasons people give. • Describe the primary sources of contributions. • Describe the essential components of an integrated development program and the primary purpose of each one. • Describe the key principles of the Donor Bill of Rights and the AFP Code of Ethics. Andrea McManus, CFRE, is Chair of the AFP International Board and president of The Development Group, a full-service, strategic philanthropic consulting firm based in Calgary, Alberta. Andrea has over 26 years of experience in fundraising, marketing and communications. Her firm has helped build the fundraising capacity of many clients throughout Canada and the Caribbean. She is an AFP Master Teacher and was the 2007 Fundraising Professional of the Year for her Calgary Chapter. About the presentation: You know the importance of Annual Giving. You know that it helps develop major donors, capital donors, and even bequest donors. You know that regular, consistent, and repeat giving is the foundation of most successful fundraising programs. You know that without Annual Giving, your fundraising program would eventually cease to exist. But, are you getting the most out of your Annual Giving program? Are you using every tool at your disposal to ensure maximum dollars and numbers of donors? Do you have a comprehensive plan for Annual Giving that frequently offers prospective donors an opportunity to participate in your organization’s mission and work? Or…is your Annual Giving program on “auto-pilot”? Join us for this interactive, instructive, and innovative program to discover ways to increase your annual giving results -- by re-thinking what “annual” really means. You’ll definitely get lots of new ideas! About the speaker: As Founder and President of Pranger Philanthropic, Jill Pranger has 30 years of professional fundraising and not-for-profit management experience. Since founding the business in 2003, Jill has worked with more than 30 organizations across the Northeast region. Additionally, Jill is an internationally sought-after trainer and keynote presenter in the areas of fundraising, the not-for-profit sector, organizational management and development, philanthropy, business networking, and working with volunteers. In 2006, Jill earned her Advanced Certified Fundraising Executive (ACFRE) designation, an advanced certification held by fewer than 100 people in the world. Jill is an Association of Fundraising Professionals (AFP) Master Teacher and was the recipient of the 2006 Fundraising Executive of the Year Award from the AFP Genesee Valley Chapter, Rochester, New York. As a volunteer, Jill serves on the ACFRE Certification Board and the AFP Great Smoky Mountain Chapter Board. She is a past Board Member of AFP International, Big Brothers / Big Sisters of Greater Rochester, and Lilac City Toastmasters. She is Past President of the AFP Genesee Valley Chapter, the Junior League of Rochester, and Rochester Hearing and Speech Center, and has 33 years of continuing volunteer service with the American Red Cross. Communicating information about fundraising activities to appropriate audiences (donors and prospects alike) and keeping all stakeholders informed about the organization's progress is critical to ongoing and future success. Effective marketing is a key part of building and sustaining relationships for fundraising purposes. This module will cover creating a plan for marketing and communications activities that support development goals and strategies. It will also touch on the growing roles and importance of the Internet and social media in fundraising. • Explain the definition of marketing and describe its application to fundraising. • Cite examples of communications methods and describe how each might be used to cultivate and retain donors. • Prepare donor-centered solicitation materials that will influence and facilitate informed gift decisions. • Describe the roles of the Internet and social media in fundraising. D.C. Dreger, ACFRE, has been a fundraiser and organizational developer in private schools and colleges, and counseled social service and health agencies, faith-based organizations, community development initiatives and others for 30 years. He is Director of Campaigns/Americas for Habitat for Humanity International working from its Atlanta, GA, office primarily with U.S. affiliates and Latin American country organizations in Habitat’s multi-billion dollar global capital campaign. D.C. serves in the leadership of the international Association of Fundraising Professionals as a member of the Board of Directors of the AFP Foundation for Philanthropy, is former chair and current member of the AFP Publishing Advisory Committee and serves on the CFRE Review Course Revision Task Force. Additionally, he serves in the AFP Greater Atlanta chapter and is a special advisor to the Fellowship of Southern Writers. Relationships are the key to fundraising success, and successful relationships start with knowing current and prospective donors well. This module will introduce the powerful role of prospect and donor research, including identifying and segmenting prospects and donors according to appropriate variables as well as effective donor records management to support ongoing relationships. Finally, cultivation, establishing and maintaining relationships with individuals and organizations, and optimizing relationships to retain donors rounds out the module. them for further research and cultivation efforts. • Describe examples of effective cultivation strategies and identify steps to use to maximize gift return on an ongoing basis. • Identify the basic elements of good relationships with volunteers, donors, and qualified prospects. • Cite examples of effective relationship-building strategies. • Define "stewardship" and describe its role in building lasting relationships. John Rivas, CFRE, currently serves as Vice President of Development for the Florida United Methodist Children's Home. Mr. Rivas leads a development team of eighteen and is responsible for providing innovative and strategic leadership in the planning, implementation, and administration of the Children's Home comprehensive development, alumni affairs, and public relations programs and initiatives. Currently, he is coordinating the first-ever statewide capital campaign to construct a 300-acre Youth Ranch in North Florida for the Children's Home. A certified fund-raising executive with over twenty-three years of development experience, John has served in positions of leadership in several local chapters of the Association of Fundraising Professionals, as well as a past member of the U.S. Government Relations Committee. He has presented at numerous local, regional and national events and has written extensively for national publications.